Disc golf is a flying disc game, as well as a precision and accuracy sport, in which individual players throw a flying disc at a target. The object of the game is to traverse a course from beginning to end in the fewest number of throws of the disc. 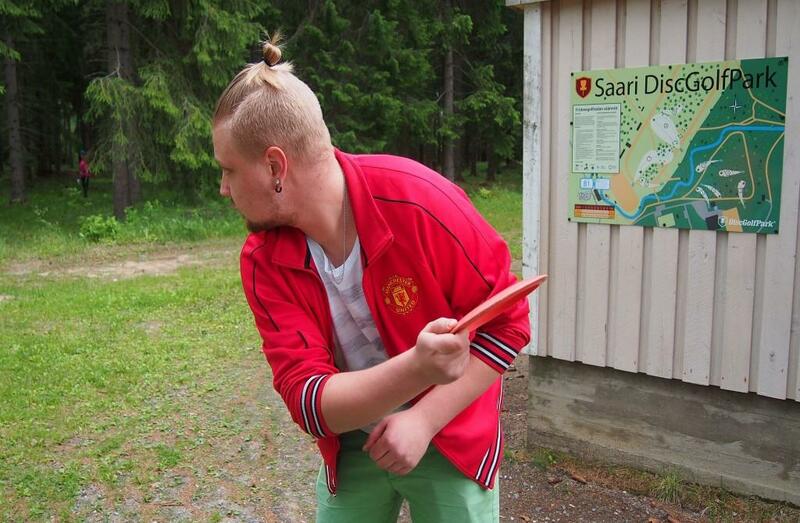 Try the game at the disc golf courses in Parikkala. This disc golf course with 9 lanes and B1 classification was introduced in 2015. The lanes have a length of 56 – 153 metres. The total length of the lanes is 729 m, par 28. The course starts from the Saari elementary school and runs through the nearby spruce forest and the racetrack area. Disc golfers must beware of the use of the racetrack. Flying discs can be borrowed from the library which is located near the starting point. Disc golf course with 9 lanes, suitable for beginners. Located at the local parish’s campground and open at times when camps are not organised. There are several disc golf courses nearby, for example in Simpele (20km), Imatra (60km) and Savonlinna (60km).